The photo: Kane skiing the Vallée Blanche on the Mont Blanc Massif, France, February 2008. 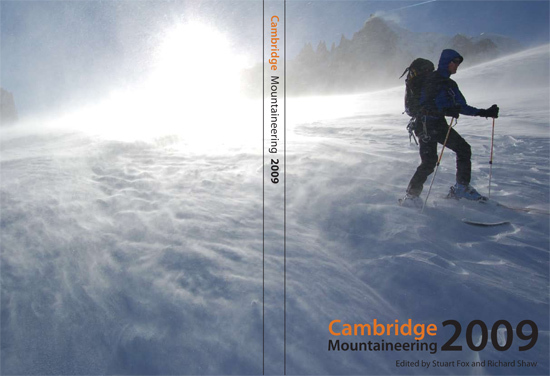 The outlet: Cover of Cambridge Mountaineering, the journal of the Cambridge University Mountaineering Club. The catch: A picture may be worth a thousand words, but nobody paid me for this one. 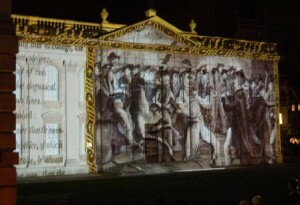 The University of Cambridge rang in its 800th anniversary with church bells and a light show on Saturday the 17th. 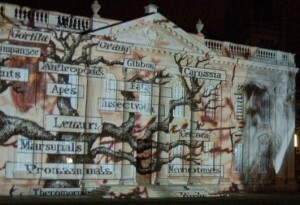 The light show, created by projection artist Ross Ashton, included specially commissioned illustrations of Cambridge alumni Charles Darwin and Isaac Newton by Roald Dahl’s illustrator, Quentin Blake. 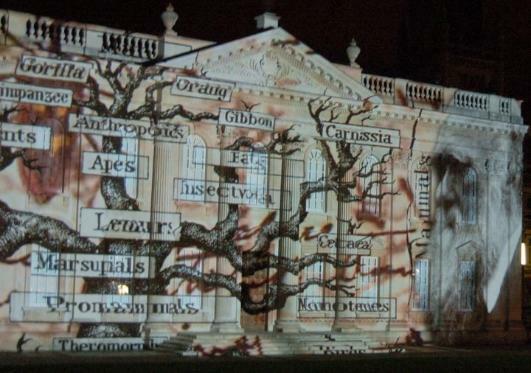 Above, a graying Darwin ponders the tree of life, whose branches recapitulate the origins of the species. 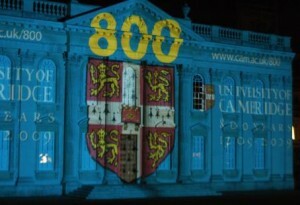 Other images evoked the scientific, musical, and debaucherous achievements of 800 years of Cambridge students and alumni. 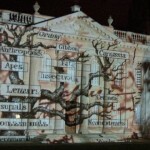 See all the photos at Science Magazine’s new Darwin blog [html]. 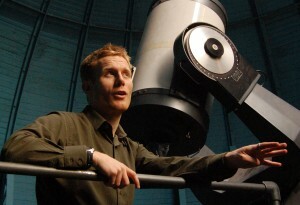 Cameron Hummels in his observatory, 2009. 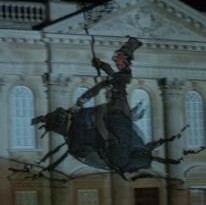 Photo: Lucas Laursen. 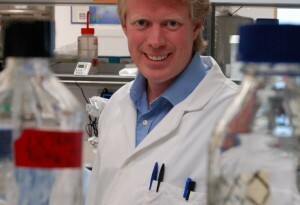 Thomas Helleday in his laboratory, 2009. 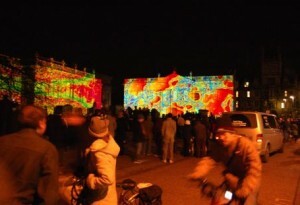 Photo: Lucas Laursen. 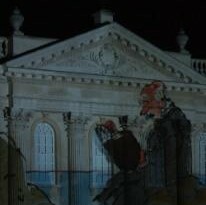 Thomas Helleday was precocious long before he started supervising Ph.D. students as he finished his own doctorate. His mother, a banker, bought him his first stock at age 7. At age 16, the Swedish native volunteered in a cancer ward with his older brother and “was terrified” by the harsh side effects of radiation therapy he saw there. Vowing to do something about it, potentially in the pharmaceutical industry, Helleday studied business and molecular biology as an undergraduate.